Expand search to view more listings in and around Marble Falls. 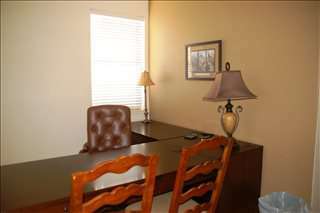 See more offices in and around Marble Falls. Here at Offices.net we have 1 Marble Falls office available now for immediate occupation, with flexible rental terms. Many of our offices offer simple, short term and flexible rental agreements, meaning that you can gain the benefits of a wide range of facilities and a prestigious business address in Marble Falls, with a contract that is tailored to your needs. Offices.net is here to provide a wide range of competitively priced, professional, fully-equipped office space in Marble Falls, Texas, on flexible rental terms to suit your specific business' requirements. You will be spoilt for choice when it comes to impressive business facilities and professional support services in Marble Falls. We endevor to ensure that the entire process is as simple as possible for our clients. Most of the office buildings we list offer offices that are fully furnished and equipped, making setting up a very fast process. Some of the serviced offices can also be configured to meet the particular needs of your company. Many office providers will customize the space for you and allow you to decorate to give you more control over your team culture and brand image. Choose one of the offices in Marble Falls listed on this page. The office space listed on Offices.net is in a prestigious business location, and is available for instant rental on flexible terms. Offices.net also boasts a extensive range of office space in other prime Texas locations, available on flexible terms. Call us today, and we will be be happy to help you find your exact office space.